Welcome to week sixteen in our 52 Books rambling roads reading adventure. Greetings to all our readers, welcome to all who are joining in for the first time and everyone following our progress. Visit 52 Books in 52 Weeks where you can find all the information on the annual, mini and perpetual challenges, as well as the central spot to share links to your book reviews. Happy Sunday! Taxes are due on Monday and whether we are getting money back or have to pay, our souls need to be soothed and rejuvenated after slogging through all those receipts, numbers and forms. April 15th is also Patriot's Day in New England, Rubber Eraser Day, Titanic Remembrance day and World Art Day. Let's celebrate World Art Day by reading books about artists or art styles, historical fiction and mysteries as well as how to unleash your inner artist and your creativity. To wrestle with the angel--Art. I'm revisiting Nalini Singh's world of the psychangeling. Finished reread of Silver Silence and Ocean Light. Wolf Rain will be out in June. 😀 Last couple days have been immersed in Slave to Sensation. Next up Visions in Heat. I’m in a reading slump (& a writing slump). I did finally finish The Chosen by Potok (a reread) at about 1 am this morning while waiting for the all clear during a tornado warning. 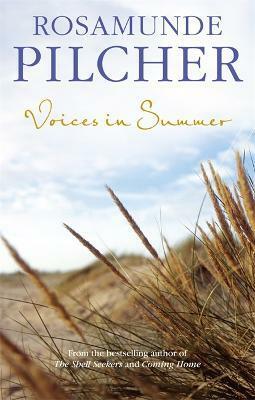 This week, I plan to do more reading aloud (Penderwicks in Spring and Year of Impossible Goodbyes). Also, to keep up with my girls’ lessons, Night by Wiesel for dd13’s history, and something undecided as yet for dd14’s lit. Sometimes all I can do is keep up with the homeschool. I finished Book 6 in the Mahabharata. Book 7 looks to be similar and similarly long. I think maybe this was more of a guy story. It goes on and on about gory battles. I do realize the war is the central event, but all the details about the wounded elephants and severed heads and rivers of blood, over and over ... just not my kind of literature. With the kids: Still early in the read-aloud, Spy School - Secret Service. About 5/6 done with The Long Winter on audiobook. I really hope to finish both of them this week, before Thursday, because we are about to go travel for the following week and a half, and I don't think I will be doing any read-alouds on the trip. We are going to Dubai and Abu Dhabi. I did find and buy a book called "Amanda in Arabia," which is supposed to be right for my kids' age. Not really sure what kind of book it is yet. I know we aren't allowed to bring in any books that don't agree with Muslim religion / values, so I should probably take a look before deciding whether to pack it. While I wait I started Hush Hush by Mel Sherratt. Going to be honest and say I am not loving it but that may be more a mood thing. Right now curling up with fluffy romance novels is totally my thing since Hush Hush appears to be gritty police police procedural set in Staffordshire...... For anyone who did Brit Tripping last year Staffs is a hard county to find a book for and to bump into one unexpectedly sort of means I need to finish it! I decided to update (umm start) my Brit Trip list and was pleasantly surprised to discover that I have finished 19 counties rather haphazardly.....definitely no following the roads this time through! I took a look at my other challenges too, I think I might need a new set of words for the Scavenger Hunt since I have only completed one book for that challenge. The Scavenger Hunt involves picking a book out and going to page 10, then to every 10th word, for 10 words. Then reading a book with those words in the title....my words just aren’t in enough titles that interest me to make this fun. I am avoiding it. Most of my other challenges have 3 or 4 books completed so I believe I am on track to finish. 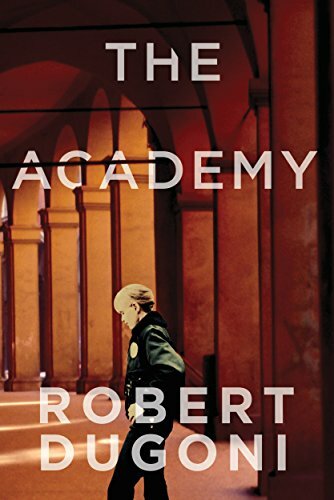 I read The Academy - 3 Stars - This is a short story and an introduction/prequel to the Tracy Crosswhite series. It was a fun and light read. I look forward to reading more in the series. 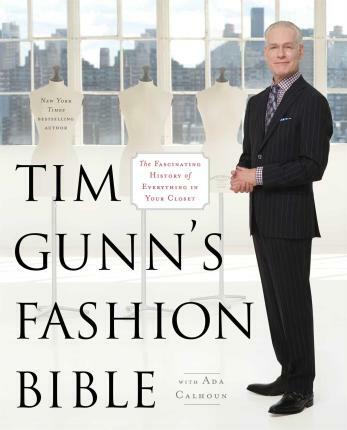 Tim Gunn's Fashion Bible: The Fascinating History of Everything in Your Closet – 4 Stars - I adore Tim Gunn, and reading this book was an absolute delight. It had two things that I love – history and fashion. As with his other books, Tim Gunn’s writing style makes it all so interesting and fun. While reading it, I could almost hear his voice narrating, which made it even more enjoyable. I cannot share images here. If you wish to see my Good Reads review with images, here's the link. “Fashion models today are so different from the women buying the clothes. That has not always been the case. If you look at issues of ‘Vogue’ or other fashion magazines from the 1950s, you’ll see models in possession of womanly (albeit spectacular) bodies and expressive, mature faces. Star models typically were over thirty, and they had curves. They just looked like extraglamorous versions of the women buying the dresses. “So what’s the rule of thumb? Some say you should always match your socks to your shoes. Others say you should always match your socks to your pants. The correct answer is pants. And so in the case of jeans and brown shoes, I would go with navy socks. “The wrap dress is a very flattering style on any body type. You just need to make sure you fit the shoulders, and the rest of the dress takes care of itself. It makes women look feminine, pulled together, and at ease in the world. 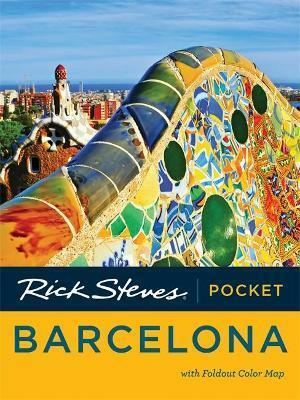 Rick Steves' Pocket Barcelona - 5 Stars - Another incredibly helpful Rick Steves Pocket Guide. I love these since they’re small, light, and convenient to travel with. I also enjoy the color photos. His books are great, his vides on You Tube also, but his online forums are the best. What an intriguing list, Robin. I see some old favorites as well as other titles to investigate. Tim Gunn's Fashion Bible: The Fascinating History of Everything in Your Closet – 4 Stars - I adore Tim Gunn, and reading this book was an absolute delight. It had two things that I love – history and fashion. I enjoyed reading your thoughts, Negin, as well as the quotes you included from the author. Is this where I admit that I do not know who Tim Gunn is? This first post is several years old. Do read the pages of comments. Are you a re-reader? I am. Two pre-reads for the kids completed this past week - Aeneas (younger readers' version of Aeneid, mentioned in last week's thread) and The Golden Goblet. Both will probably go on the girls' reading list for next year. Still working on Machen's The Virgin Birth. Thank you, dear Kareni. Your comment made me smile. Many don't know who Tim Gunn is. He was on "Project Runway". I probably wouldn't have known him either, had it not been for my daughter. I hardly watch any TV these days and am definitely out of it when it comes to pop culture. You're in good company, Negin. I am definitely out of the loop when it comes to pop culture; 90 percent of what knowledge I do have comes from this board! I've been reading Leigh Bardugo's Shadow and Bone trilogy. I actually read the first a year ago on spring break and didn't get back to the second and third until a year later! For a long time I was waiting for dd to finish the second, Siege and Storm, and I finally decided she isn't going to. 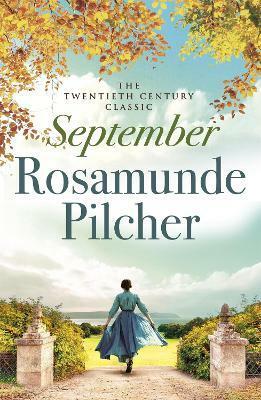 I loved it and I am close to finishing the third, Ruin and Rising. My other read right now is excellent: Jean Twenge's iGen: Why Today's Super-Connected Kids are Growing Up Less Rebellious, More Tolerant, Less Happy-and Completely Unprepared for Adulthood-and What That Means For the Rest of Us. I've been bothered all school year trying to figure out why there are so many more mental health issues in today's teens than when I last worked in a high school 25+ years ago. I've tried looking up articles and books on anxiety. I think this book finally explains what I'm seeing. Twenge has researched different generations during her career, also publishing a book on the defining characteristics of millenials. This book focuses on the next generation born between 1995-2012 (my kids)--the first generation to have always lived with the internet and be largely shaped by adolescence with an iPhone. This generation uses their phones 5-6 hours per day--time that used to be spent on in-person interaction with family and friends or at a job or even just getting enough sleep. All of these changes make their mental health more fragile than previous generations. And the changes have been dramatically quick--all dating from about 2012 when iPhone use became widespread. Really good book--she talks about other characteristics besides mental health (some good, some not-so-good), but the mental health aspect is the one I had already been thinking about. I think this book should be required summer reading for our staff. So I still have that one in progress too. Hi everyone! I only finished one book this week - Maid: Hard Work, Low Pay, and a Mother's Will to Survive by Stephanie Land. This is a memoir detailing what a young single mother had to do to support herself and her daughter. She worked as a maid, did landscaping work, and also went to college all while trying to earn enough to keep a roof over their heads. Land also describes all the non-sensical hoop-jumping she had to perform in order to qualify for food stamps, etc. I admired her determination to keep going and really felt for her when she'd have to leave her daughter in a not-so-great daycare. BUT - she does spend a large part of the book complaining about all the things she isn't able to give her daughter and feeling envious of the families whose houses she is cleaning. Land also complains several times how she felt judged by other people at the grocery store or the park or whatever because she has tattoos and her daughter happened to be wearing a tutu for the third day in a row. ?!! She lived in the Seattle area and I really don't get how she could possibly think that people would judge her for tattoos in this day and age OR in that area! I lived in WA state and it seemed that almost everyone had a tattoo. I think her insecurities made her assume those things (or maybe she was just being judged for not brushing her daughter's hair for three days - sheesh.) I gave it 3 and a half stars on GR. I'm still reading Jonathan Strange & Mr. Norrell and am just over the halfway mark. Negin, I love Tim Gunn! I'll look for his book at the library. And Kareni, I'm definitely a re-reader! I love reading old favorites - that is truly the mark of a good book. Last week I started reading The Hunchback of Notre Dame. 😞 I haven't quite decided if I'm going to finish it now or put it back on the To Be Read stack. I think that I'll try to finish it. Finishing up "The Great Alone" by Kristin Hannah. A powerful book about a Vietnam vet who is dealing with PTSD and is in denial about how he deals with his painful memories and his family who watches him escalate seemingly helplessly - all told through the lens of his 14 year old daughter Leni who ages to 18 in the book. I listened to this on Audiobook narrated by Julia Whelan and she is fabulous in capturing all the nuances. Also finished up one of the Coulter / Ellison books "The Sixth Day." Next on my reading list is Helen Russell's "The Year of Living Danishly." Ice Princess, from a new to me scandanavian author, and I decided to want to read more. An unnecessary Woman, I really liked the book, it was a long time ago I was eager to finish the book. I can totally understand not wanting to finish..........so glad it still stands and you get to keep reading! I finished listening to Patricia Biggs River Marked.........I guess it is a sign of a good author when something like otters turn creepy. This is a reread and the last time I read it we visited a Wildlife Park with some South American otters who were incredibly joyful but I couldn’t stop looking at the long, sharp, teeth. This book changed my whole perspective! 😜My view didn’t change with the reread.....those otters were so creepy! I finished listening to Patricia Biggs River Marked.........I guess it is a sign of a good author when something like otters turn creepy. This is a reread and the last time I read it we visited a Wildlife Park with some South American otters who were incredibly joyful but I couldn’t stop looking at the long, sharp, teeth. This﻿﻿﻿﻿﻿﻿ book﻿ changed my whole perspective! 😜My view didn’t change with the reread.....those otters were so creepy! They are very useful! But..........I was so glad when Coyote left with it! So many people seem to be really excited about the psh/changing release that I think that might be my next new series to tackle. I am part way through several urban fantasy series so hopefully I will finish a couple of those first! Keep us up to date with the service dog news! I am sure he or she will be a great addition to your life. Reading The Hunchback of Notre Dame with tears falling across my face. "Every face, every stone of the venerable monument is a page not only of the history of the country, but also of the history of science and art." "Great buildings, like great mountains, are the work of centuries. Art is often transformed while still pending completion... They go on quietly, in harmony with the changes in the art. The new form of art takes up the monument were it finds it, becomes a part of it, assimilates it to itself, develops it according to its fancy, and finishes it if it can.... Time is the architect, the nation is the mason." I just finished American by Day by Derek B. Millerwhich I read for my book group later this week. I quite enjoyed it. It's the rare book group book that had me laughing from time to time but also thinking. 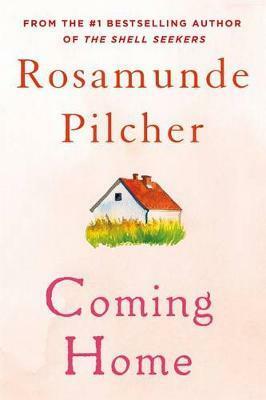 Several years ago, my group read and enjoyed the author's first book, Norwegian by Night; this book features a character from that book and follows it in time. I'm half tempted to go back and reread that earlier book since I only recall a fraction of its details. That said, this book can stand alone. Interestingly, my library has this labeled as a mystery while I would classify it as fiction. I'm looking forward to my group's discussion on Thursday. Sigrid is plunged into a United States where race and identity, politics and promise, reverberate in every aspect of daily life. Working with—or, if necessary, against—the police, she must negotiate the local political minefields and navigate the backwoods of the Adirondacks to uncover the truth before events escalate further. " I'm rather fond of the walking stick, too. You're in good company, LaughingCat. I stopped reading the series a few books ago. I just finished Ben Aaronovitch's The Hanging Tree (Rivers of London Book 6) which I enjoyed. I have one more book to read and then I'll have finished the series. "Suspicious deaths are not usually the concern of Police Constable Peter Grant or the Folly—London’s police department for supernatural cases—even when they happen at an exclusive party in one of the flats of the most expensive apartment blocks in London. But the daughter of Lady Ty, influential goddess of the Tyburn river, was there, and Peter owes Lady Ty a favor. He’s been given an unparalleled opportunity to alienate old friends and create new enemies at the point where the world of magic and that of privilege intersect. Assuming he survives the week…"
I finished listening to my long awaited next book in The Expanse series.....Abbaddon’s Gate was awesome! I am now waiting for the next book which I will hopefully have soon. I put them all on hold several months ago and went to next in line and suspended them, the only problem is others did the same thing I think!😜. But I should have it within the month I hope. Trying to settle on my next audiobook. I am reading the new Faith Hunter Soulwood book. It is good but I wish I had done a reread first. I need to do a reread of all of hers including the Jane Yellowrock books because I am definitely missing bits. @hopeistheword Night is excellent. May want to look at The Boy on the Wooden Box which gives from youngster's perspective who works for Schindler. James spent a lot of time in the WWII period so we read lots of books, more nonfiction than anything else. I learned alot in the process as well. @SKL How awesome that you get to go to Dubai. Look forward to hearing about your trip. I follow Khalid Al Ameri on facebook who lives in the UAE and talks about life in the country. Fun and interesting. @mumto2 I ididn't have much luck with my first set of words for scavenger hunt either but haven't had time to get back into it. Try try again. Re: Patricia Briggs - I can imagine if your around otters at the time of reading it. The otters, yep, creepy. The last time we went to the ocean, had this underlying thing about the otters. Now I know what was causing it. 😄 The Walking Stick - Loved it! @Kareni Yes, the 37 creative books list is interesting. Hubby just finished reading Thinking Fast and Slow and when he heard it was on the list, wants me to read it now. Urg! Thanks for all the great links. @Ali in OR Igen book sounds super fascinating and will have to read it. My kiddo has grown up with the computer but we limit it and he really doesn't want his own iphone or social media account. He likes using mine. Guess its the accountability. @Mothersweets Loved Jonathan Strange. Look forward to hearing what you think about it when you are done. @Junie Hugs. This week was a hard week for everyone with the cathedral fire. Makes Hunchback of Notre Dame that much more special. @Liz CA Love Kristin Hannah's writing. Haven't read the Great Alone yet. @loesje22000 Hey, doll. Great to 'see' you. I have The Ice Princess on my shelves. Been meaning to read it. Moving it up in the pile. @melmichigan Glad to hear you were approved for a service dog. Will make things easier hopefully. Are you okay with reading books now or mainly still listening to Audiobooks?Hugs! @Kareni Hope you are feeling better! Last night I finished my latest reread of SK Dunstall'sAlliance (A Linesman Novel Book 2) which I enjoyed once again. I'm slacking a bit. Every time I sit down to read lately, I end up taking an accidental nap instead. 20. "Silent Souls Weeping: Depression, Sharing Stories, Finding Hope" by Jane Clayson Johnson. (LDS) She addresses Post-Partum Depression, teen depression - which doesn't always look like "sad," how hard it is to feel spiritual feelings when you are depressed, how perfectionism contributes to depression, and other kinds of important issues, some of which are specific to our faith, but many of which are universal. 19. "Leap of Faith" by Bob Bennett. (LDS) Interesting take on apologetics, since the late Bob Bennett was one of our state's senators, and not an apologist, per se. He wrote it in response to questions he was getting from reporters and colleagues in Washington, D.C. when Mitt Romney was running for president. 17. "Manga Classics: MacBeth" adapted by Crystal S. Chan. 16. "One Dead Spy" by Nathan Hale. 15. "Stellar Science Projects About Earth's Sky" and "Wild Science Projects About Earth's Weather" by Robert Gardner. 14. "Stuff Matters" by Mark Miodownik. 12. "Forensic Science Projects with a Crime Lab" by Robert Gardner. 10. "Donner Dinner Party" by Nathan Hale. 9. "Manga Classics: The Stories of Edgar Allan Poe" adapted by Stacy King. 8. "Bodies We've Buried" by Jarrett Hallcox and Amy Welch. 7. "The Forensic Casebook" by N.E. Genge. 5. "Fingerprints: Crime-Solving Science Experiments" by Kenneth G. Rainis. 1. "Camino Easy" by B. G. Preston.